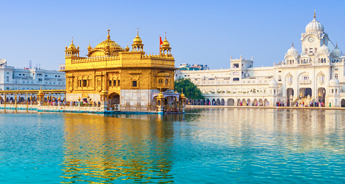 PanjTakht Tour, as the name says, this travel package will take you to all to the five famous Gurudwaras in India that has a special significance in Sikh community - Sri Akal Takht Sahib (Amritsar), Takht Sri Damdama Sahib (Bhatinda), Takht Sri Keshgarh Sahib (Ropar), Takht Sri Hazur Sahib (Nanded) and Takht Sri Patna Sahib (Patna). Takhts are mainly the supreme seats or thrones of temporal power and religious authority in Sikhism. One can simply determine the value of the places from the fact that Sikhs should visit all these places at least once in a lifetime. All these places leave a powerful spiritual and emotional impact on pilgrims. This eleven days guided Shikh pilgrimage tour will begin from Aurangabad (Maharashtra) where you will visit and even stay in first takht, Hazur Sahib. When in Hazur Sahib, you will explore the complex, attend the famous evening aarti and enjoy the laser & dancing musical fountain show. 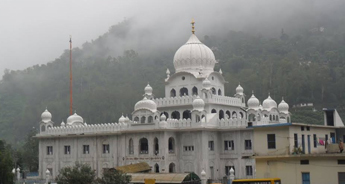 During your two days stay at the Hazur Sahib, you will also visit the Gurudwara Shri Nanak Jhira Sahib, which is located inBidar, Karnataka. Bidar has a strong association with Sikhism as this is the hometown of Bhai Sahib Singh, one of the PanjPyare (five beloved ones), who were the first members of Khalsa. On the third day of the tour, you will drive to Aurangabad, only after exploring the other Gurudwaras of Nanded. From Aurangabad, you will board a flight for Patna to visit the second PanjTakht, Takht Sri Patna Sahib, the place where Gobind Singh, the tenth Sikh Guru, was born. Continuing the trip further, you will board a flight from Patna to Delhi and then drive to Bhatinda to see the Takht Sri Damdama Sahib. In 1705, the full version of Sri Guru Granth Sahib was prepared in Takht Sri Damdama Sahib by Guru Gobind Singh. 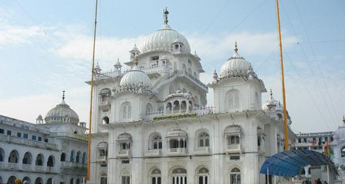 A visit to all other gurudwaras of Bhatinda is also included in this trip. From Bhatinda, drive to Amritsar, which is home to Sikhism's holiest shrine, the spectacular Golden Temple. Harmandir Sahib alas Golden temple is home to the Akal Takht, which was constituted by the Sixth Guru, Guru Hargobind). Following a trip to Amritsar, drive to Ropar to see the last takht of the trip, Takht Sri Keshgarh Sahib, located in the Anandpur Sahib. 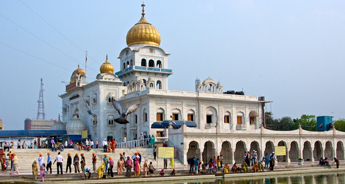 Apart from a trip to all the PanjTakht, this package also includes a sightseeing tour of the Chandigarh and Amritsar. On the last day of the tour, after collecting all the memories drive to the railway station or airport in Delhi. Upon arrival in Aurangabad, meet our representatives, who will take you to Hazur Sahib Nanded. In the evening, you will attend the aarti and the laser show. Overnight stay at the Gurudwara. Post breakfast, you will drive to Gurudwara Shri Nanak Jhira Sahib in Bidar, which eould take approximately 4 hours. In the evening return to Hazur Sahib. Enjoy langar in the evening, followed by an overnight stay at the Hazoor Sahib. 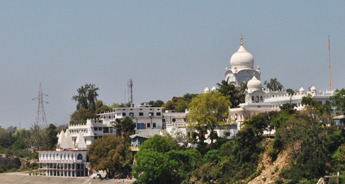 Post breakfast, visit Sachkhand Shri Hazur Sahib and all the gurudwaras in Nanded – Gurudwara NaginaGhat, Sahib, Gurudwara Banda Ghat Sahib, Gurudwara Shikar Ghat Sahib, Gurudwara Gowli Sahib, Gurudwara Hira Ghat, Gurdwara Mata Sahib ji, Gurudwara Maltekdi, Gurdwara Sangat Sahib Ji. In the evening, check in the Aurangabad hotel for overnight stay and dinner. After breakfast, you will be transferred to the airport to board a flight for Patna. On arrival in Patna, you will meet our representative who will transfer you to a hotel. Dinner and overnight stay at the Patna hotel. Enjoy a hearty meal at the hotel and visit the Takht Sri Patna Sahib. The gurudwara built in remembrance of the birthplace of Guru Gobind Singh Ji. After spending some time at the Patna Sahib, visit the Takht Sri Harmandir Sahib Ji. Dinner and overnight stay at the Patna hotel. In the morning, you will be transferred to the airport to board a flight for Delhi. When in Delhi, drive to Bhatinda, which would take approximately 7 hours. 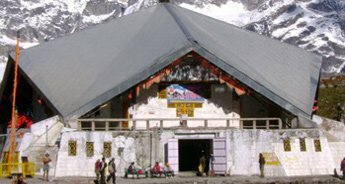 In the evening, visit Takht Sri Damdama Sahib. Dinner and overnight stay at the hotel. 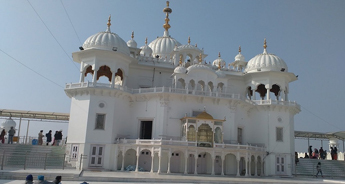 Today, you will visit all the major gurudwaras of the Bathinda district - Gurudwara Manji Sahib Sri Guru Tegh Bahadur, Gurudwara Manji Sahib PadshahiNauvin and Dasvin, Gurudwara Likhansar Sahib, Gurudwara Jandsar Sahib, Gurudwara Tibbi Sahib, Gurudwara Sri Nanaksar, Gurudwara Niwas AsthanPadshahiDasvin Gurudwara Mata Sundari and Sahib Devan. In the afternoon, leave for Amritsar and then go visit the Harmandir Sahib. Dinner and overnight stay at the Amritsar hotel. Post breakfast, visit the Harmandir Sahib again. And after a brief tour, visit to Tarn TTownaran Sahib, Gobindwal Sahib, Summer Palace of Maharaja Ranjit Singh, and Bara Bazar. In the evening, visit the Wagah Border. Dinner and overnight stay at the Amritsar hotel. After breakfast, drive to Chandigarh. 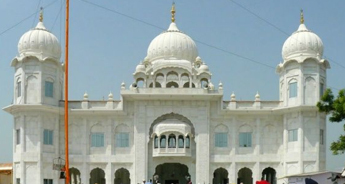 During the four hour journey visit the Anandpur Sahib, Sis Ganj Sahib, and Takht Sri Keshgarh Sahib. Dinner and overnight stay at the Chandigarh hotel. After breakfast, go for the sightseeing tour. Today, you will visit Museum, Rock Garden, and Pinjore Garden. After the city tour, drive to Delhi. Dinner and overnight stay at the Delhi hotel. You will be transferred to airport/railway station to connect flight/train for onward destination.